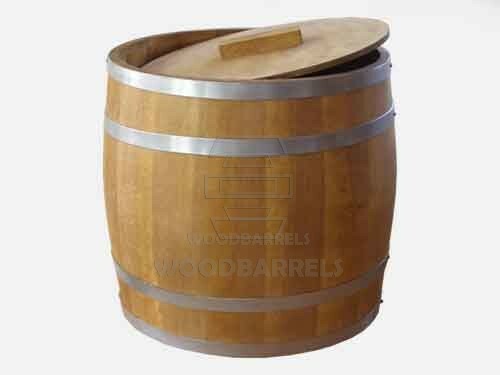 All our oak rain storage barrels are handmade, according to traditional methods. We are only using the highest quality oak wood it’s been seasoned under natural condition from at least 2 years. During production no chemicals such as varnishes, fillers or silicones are used. The wood is heated in an oak shavings fire which protects the natural scents and aromas of these fine woods. 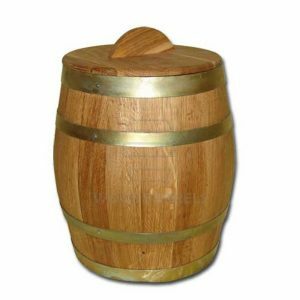 Oak Rain Storage Barrels are sealed with a plant known as ‘dried of sweet flag’, that makes them water tight. 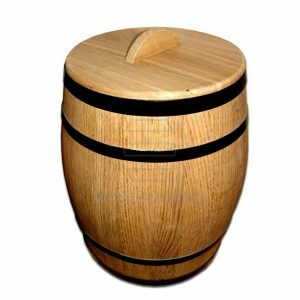 Oak rain barrel comes with wooden tap and lid as standard.